Click on the above logo to see what HR jobs are available for you. Commemorating 10th Year Anniversary of The Japan HR Society (JHRS): Post your messages! See JHRS in action thru pictures! See more of JHRS Event pictures here. READ CURRENT AND PAST ISSUES OF The HR Agenda. Email us at hragenda@jhrs.org for volume discounts. 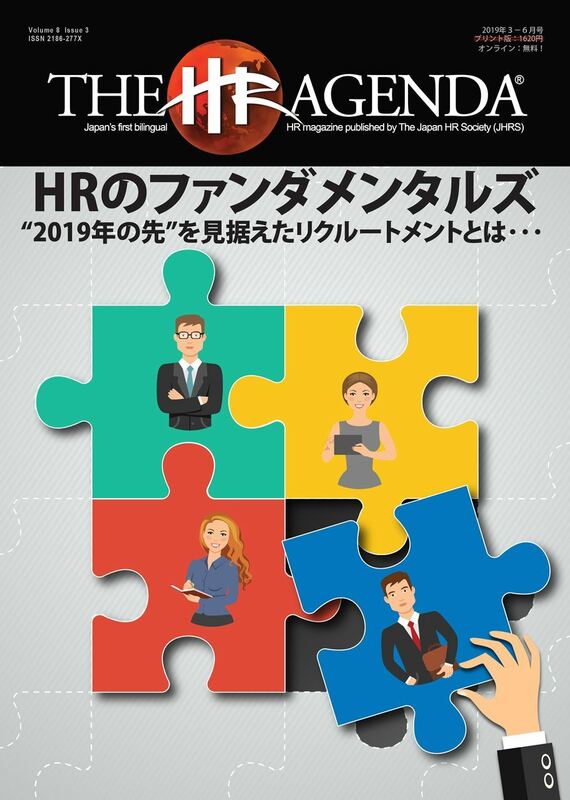 JHRS' official magazine and Japan's first-ever bilingual HR-focused quarterly publication. Search the JHRS database of hundreds of HR-related files and resources to help make your job easier. HR templates & tools, discounts from participating service providers, member directory, & more exclusively for paid-members. Search & apply for HR jobs. Step-up your career!